Ada County Highway District’s Americans With Disabilities Act (ADA) Advisory Committee provids input to the Ada County Highway District by being both an Advisory group for ADA and access related issues and a liaison between ACHD, municipalities, interested organizations, other groups and the public. 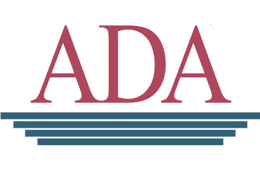 The purpose of the ADA Advisory Committee, as stated in the ADA Resolution, is to make recommendations to the Commission of the Ada County Highway District on issues of specific concern to the ADA community about roadways and pedestrian facilities within ACHD’s jurisdiction. Members of the ADA Advisory Committee include individuals who work for organizations that directly serve people with disabilities and the elderly and other municipal and governmental ADA representatives. The committee also includes one Citizen Advocate and one member of the ACHD Commission. The Committee meets six times a year on the third Tuesday of the Month from 11 a.m. – 12 p.m. at The Ada County Highway District.